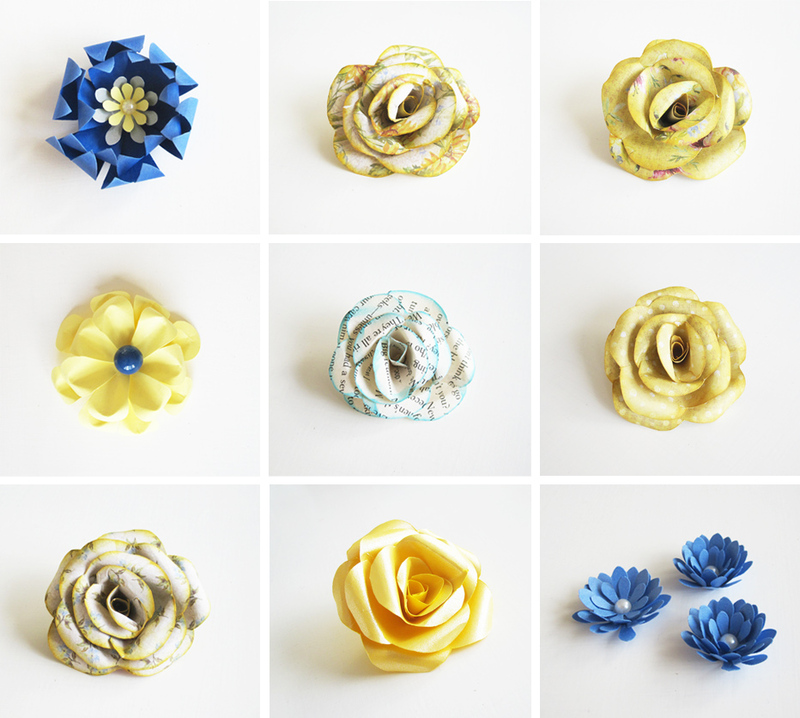 I'm in the process of making paper flowers for a very special June wedding. The palette is cobalt blue and yellow. The vision: a book lovers' wedding with thoughtful vintage touches. The flowers for the bridal bouquet, as well as for the other pieces, like bridesmaid bouquets, boutonnieres and corsages, are still in the early stages, so in the next couple of months I'll post updates about my progress, as well as show the finished pieces. For now, I'll just enjoy in the inspiration that this fresh color palette brings to mind: crisp skies, warm sunshine, well-loved vintage touches, pearly sophistication, afternoons with books, and a happy wedding on a clear summer's day.